St. Helens High School senior AJ Jennings was selected as the Elks Teen of the Month for December.Jennings was selected for the recognition because of his commitment to academics, after school clubs and community service, a press release from the school explains. 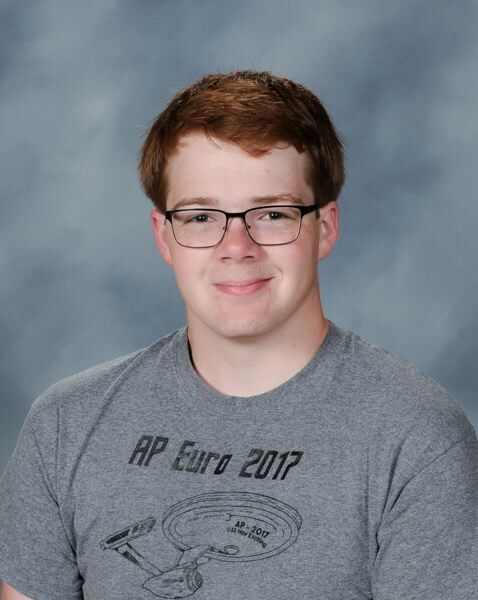 Staff at the high school describe Jennings as an involved student who is always interested in learning and doing his best in school. "As for AJ Jennings as the Elks teen of the month, I totally support the nomination! AJ is incredibly intelligent, but just as kind," Jessica Blount, a language arts teacher, noted of Jennings in the release. "He is ever-curious, open to new ideas and is eager to broaden his own perspectives as much as those of others." Outside of school, Jennings is involved in band, robotics and several school clubs, like Key Club and Advisory Club. He plays musical instruments in the marching band, jazz band and wind ensemble, and in winter and spring works with the St. Helens Engineering and Robotics Club during its competition season. Jennings also works for Lower Columbia Engineering and other organizations as an IT tech. When asked what he felt was his best quality, Jennings reflected on his various commitments. "I truly feel that my best quality is my dedication. When I find something that I feel passionate about or an idea that intrigues me, I become very involved and determined to do the best that I can at it or complete it. I feel like this is a valuable quality as I feel it makes me a more effective worker, being able to keep focus and work intently on projects and tasks," Jennings stated in the release. After high school, Jennings plans to pursue a degree in electrical and mechanical engineering, with an eye toward the possibility of pursuing a doctoral degree in electrical engineering. He would like a career in hardware engineering, robotics or technical consulting.